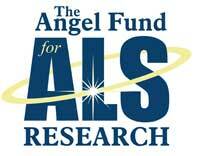 Was Pete Frates’ Ice Bucket Challenge as successful as it was because of the local Boston baseball community support of ALS that begin with him a year prior? We may never know, but in the summer of 2014, it became the world’s largest global social media phenomenon. More than 17 million people uploaded their challenge videos, and these videos were watched by 440 million people a total of 10 billion times – raising $115 million dollars. This year’s 100 Innings of Baseball also overcame diversity. Rain downpours flooded the field, leading to delay. The grounds crew was initially ready to call the game. But quick-thinking organizers opted instead to move the wet game to the outfield, and played the overnight hours with innings of Wiffle Ball. By day-break, rain stopped, and the field was repaired. 100 innings continued, and game time was actually sped up because of the quicker middle innings! See the photo album from the 100 Innings of Baseball game in 2014.